Paraben and preservative free, this revitalizing mist toner is enriched with Neroli oil, extracted from the blossoms of the bitter orange tree, known for its ability to stimulate cell regeneration. Powerful patent pending antioxidant blend of White, Red and Green Tea extracts combined with Goji Berry, Pomegranate and Grape Seed extracts help to neutralize free radicals, protect skin from environmental toxins and combat the visible signs of premature aging. 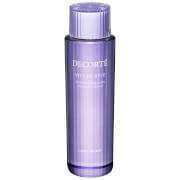 After cleansing, mist toner onto face, neck and décolleté. Allow toner to dry naturally. Follow with eye cream, serum, moisturizer and sunscreen. May also be used throughout the day to uplift and refresh the skin. Water (Aqua), Citrus Aurantium Amara (Bitter Orange) Fruit Extract, Punica Granatum (Pomegranate) Extract, Lycium Barbarum (Goji Berry) Fruit Extract, Vitis Vinifera (Grape) Seed Extract, Camellia Sinensis (Green And White) Leaf Extract, Aspalathus Linearis (Red Tea) Leaf Extract, Glycerin, Polysorbate 20, Propylene 20, Propylene Glycol, Sodium Phytate, Leuconostoc/Radish Root Ferment Filtrate. You can use this product whenever your skin feels dry or oily. Just a few spray and let it dry naturally, you'll feel skin become fresh again.